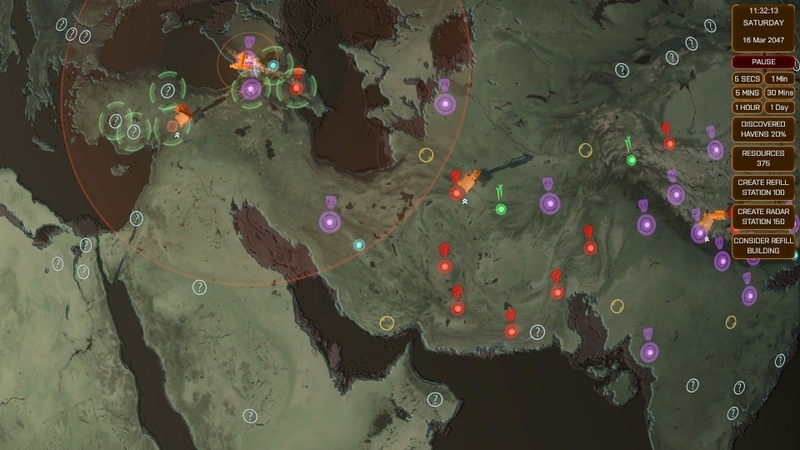 One of the most eagerly anticipated aspects of Phoenix Point that people have been waiting to catch a glimpse of is the Geoscape. The good news is, we finally have something to show you. The Strategic Layer team have been working hard to start assembling all of the pieces. There are some very interesting things to cover regarding the strategic layer, and you may have heard some already. As always, please remember that Phoenix Point is still in early development, with over a year of development time remaining. Anything you see in these early updates should not be considered final or representative of the quality for the finished product. Many UI elements are still placeholder, and textures tend to lack shaders and general polish. 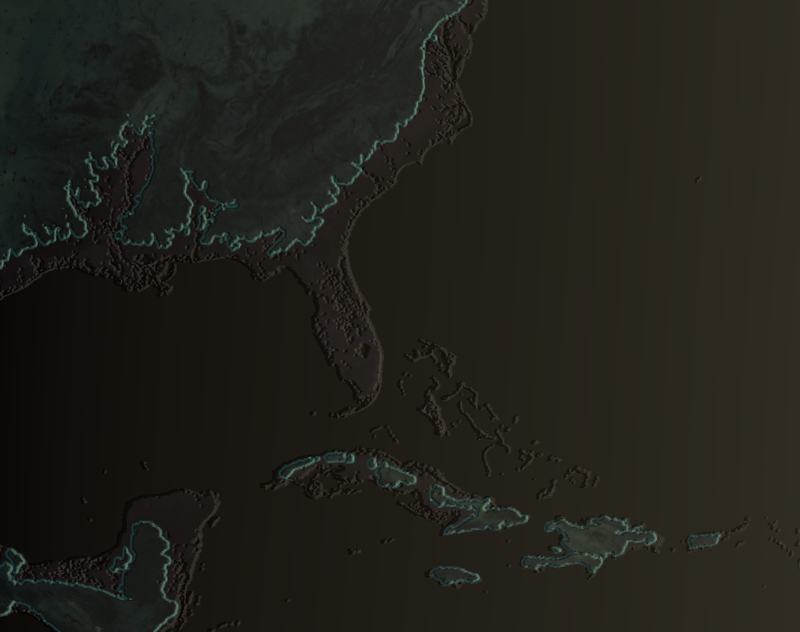 A screenshot of the Geoscape from the start of the campaign, with some unknown points of interest visible around Phoenix Point. At the start of the campaign, you have a single base: Phoenix Point. You also start with a single aircraft, which has its travel distance limited by its fuel supply. In the example above, the range of the aircraft is shown by the two-tone orange circle. The centre, lighter circle is the safe distance for making a return trip. The outer, darker circle means a one way trip. You won't have enough fuel to return unless there is somewhere else where you can refuel. They could be one of the many isolated Havens spread around the world (there will be approximately 100-200 to discover per game). These could belong to one of the 3 major factions, or they could be independent Havens. Some of these will be extra special, as you may run into some of our Immortalization Edition backers here, as creating your own Haven and its leader is one of the perks for supporting Phoenix Point at this level. The major factions could be your allies or your enemy. Your actions and diplomacy throughout the campaign will decide this. Independent Havens will likely be willing to offer you precious resources or personnel in exchange for protection. It could be an inactive base belonging to The Phoenix Project. These bases will offer somewhere for you to refuel your aircraft, and may contain new technologies for you to utilize, or facilities to aid your war effort. They could be scavenger sites. These places are a rich source of much needed supplies and resources, and may even have the odd vehicle lying around which you can repurpose. Be extra careful though; these sites are generally overrun with alien creatures. It could be a mysterious alien built structure. What is their purpose? How did they get there? That is something better left for your discovery. Probably the most terrifying, it could be a colossal alien Behemoth, roaming the land and devouring all in its path. You must risk great sacrifice to stop these mighty beasts at all costs as even Havens are on their menu. The early stages of the campaign focus on 4X style exploration. Early on in the campaign, the Phoenix Project are an isolated group, coordinating from their only base, Phoenix Point. Your first priorities are to explore your surroundings. Make contact with potential allies, find resources, establish refueling stations for your aircraft. The exploration phase of Phoenix Point is inspired by great 4X (eXplore, eXpand, eXploit, eXterminate) games such as "Masters of Orion" and "Stellaris". Some places you will just discover as you explore the globe, trying to uncover what is left of humanity. Other points of interest on the map will only be revealed to you through elements of the narrative. You will also be pleased to know (if you haven't worked it out already from the temporary interface) that the Strategic Layer runs in real-time, with the option to pause or speed up the passage of time. Large portions of the landmass are now submerged. Phoenix Point is set in the year 2047. Rising sea levels have completely submerged large areas of land in South America and Australia. Florida was completely consumed by the ocean, sharing a similar fate to Denmark and The Netherlands. The icecaps are gone. The Northern pole is now just a sea, while Antarctica is a scattered and broken landmass. Every new game of Phoenix Point will be different. Every time you explore the globe, you will have a unique experience. Before you start each new campaign, a number of Havens and various other points of interest will be seeded around the globe. A very clever simulation, which all happens behind the scenes, simulates several years of war between the factions and the independent Havens, fighting over outposts and resources. The alien threat starting to encroach on the land, consuming and mutating as it goes. Each faction has its own "personality" which tells the simulation how and where it should try to expand. You will never have the same play-through twice. Normally hidden to the player, the animated image below gives a visual example of the simulation in progress. This would normally only take a second or two, but we have slowed the process down so you can see it in action. The Haven seed simulation in action. Last week, Julian dropped a post on the official Phoenix Point forums talking about the realistic ballistics system. One of the big questions our Fig backers had was how shooting was going to work. While the firing mechanics of games such as XCom (Firaxis) work well for those particular titles, a large number of people find them to be very board-game like in the way which they work. For those not familiar, the "shooter" will have a number of positive stats which improve their chance to hit. The target will have a number of defensive (including cover) stats which are then subtracted from the shooter's chance to hit. That number is then tested against a 100-sided dice role to determine a hit or a miss, and then an animation is displayed to reflect that. However, Phoenix Point is going back to the original X-Com roots. A physical projectile will then be simulated from the shooter to the target following a trajectory which can deviate slightly depending on the weapon type. Even a shot that drifts slightly wide can still hit its intended target, with a higher chance to hit closer targets. Stray shots can also hit other enemies besides the intended target, or even friendlies if they get in the way. Stray shots (and those deliberately aimed) will also be able to destroy certain cover types. Speaking of cover; the cover in Phoenix Point is dynamic. Instead of cover just being "low" or "high" with a fixed stat modifier, the cover in Phoenix Point will be a physical barrier, which will vary depending on the size and shape of the object being used as cover. The physical simulated projectile will then have a chance to hit the cover, unless it can find a way around or through it to reach its target. One of the big challenges with this dynamic cover was finding a way to give the player meaningful feedback for how effective a piece of cover is (the chance to hit in the original X-Com didn't take cover into account). In Phoenix Point, when taking a shot, you will be able to see the target from the shooter's point of view. You will have a targeting reticle which will indicate the probable area where the projectiles will land. You will then be able to manually adjust the aim to compensate for cover and other tactical advantages. You can read Julian's full write-up of the ballistics system on the official Phoenix Point forums. For a few days in September, Julian returns to the UK to attend EGX (formerly Eurogamer Expo) in Birmingham, England at the National Exhibition Centre. Julian and Kevin (UnstableVoltage) will be at EGX on Friday 22nd and Saturday 23rd. On Friday, Julian will be conducting a Phoenix Point presentation at 2pm BST (6am PST/9am EST/2pm CET) which will also be broadcast form the event via the EGX Twitch channel. Julian will also be taking part in a Q&A panel with Firaxis' Jake Solomon at 5pm on the same day. The Snapshot Games family has grown again this month with the addition of 6 new developers. Please welcome Elena, Ned, Tzani, Elena (yes, there are two of them, I didn't just type the same name twice! UV) and Plamen. Look out for even more new additions to the team in the coming months. The first of our new members this month is Elena. Joining our animation team, Elena is currently working on the idle animations for some of the Phoenix Point soldiers, specifically the New Jericho Heavy at the moment. Elena enjoys a variety of games such as "Siberia", "The Wolf Among Us", "Trine" and "Scratches". Nedislav (Ned) is a newcomer to the game development industry, but he is an experienced C# (C Sharp) developer. Ned is going to be working on the main code for Phoenix Point. While a big fan of puzzle and adventure games, Ned has also fallen in love with the "Soulsborne" genre, with "Dark Souls", "Bloodborne" and "Witness" being some of his favourite titles. He also recently discovered the joys of the "Persona 5" universe and "Zelda, Breath of the Wild". He is currently waiting like an excited child on Christmas morning for his Collectors Edition of "Mario + Rabbids" - and I can't say I blame him! 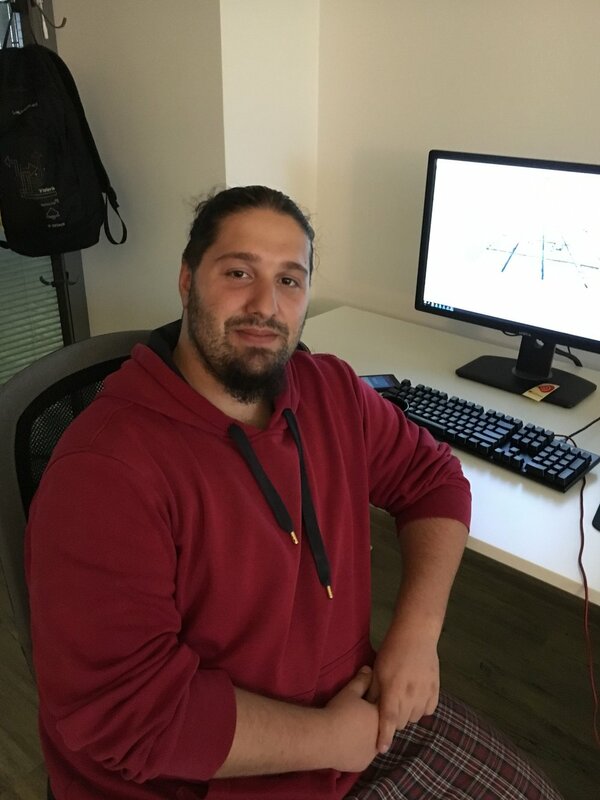 Next on the team is Tzanislav (Tzani), another talented member of the art team. Tzani was a man of few words when I tried to get more information from him (or maybe he was just really busy helping to make an amazing game!). Tzani enjoys games such as "Transistor" and "BioShock Infinite". Both very different games, but also both totally awesome games. Good choices! "In the field of computer graphics, a shader is a computer program that is used to do shading: the production of appropriate levels of light, darkness, and colour within an image, or, in the modern era, also to produce special effects or do video post-processing." In a nutshell, it is the shaders that help to make everything you see more realistic and atmospheric. Moving on, we have another Elena joining our team. Like the Elena V, Elena N is also a 3D animator (I imagine this is going to get confusing). At her previous job, Elena was nick-named "Khaleesi - Mother of Cats". Not because she is short or blonde, but because she's a massive "Game of Thrones" fan (no spoilers!) and has 3 furry, wingless dragons at home. 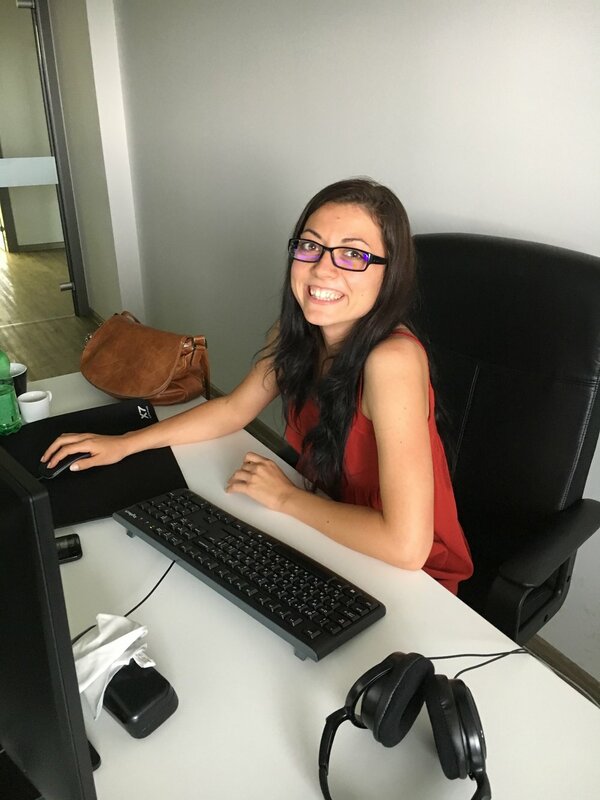 In the past Elena has worked for Tabtale, who in 2015 were ranked as the #7 developer worldwide by download volume in the App and Google Play store. They also received two nominations for the best iPad and Android tablet apps. Like many of us, Elena lost a few years of her life to "World of Warcraft". She's a big fan of the lore, and there's certainly a lot of it to dig into! These days Elena mostly plays fantasy RPGs, "Devil May Cry", and her guilty pleasure, "The Sims". 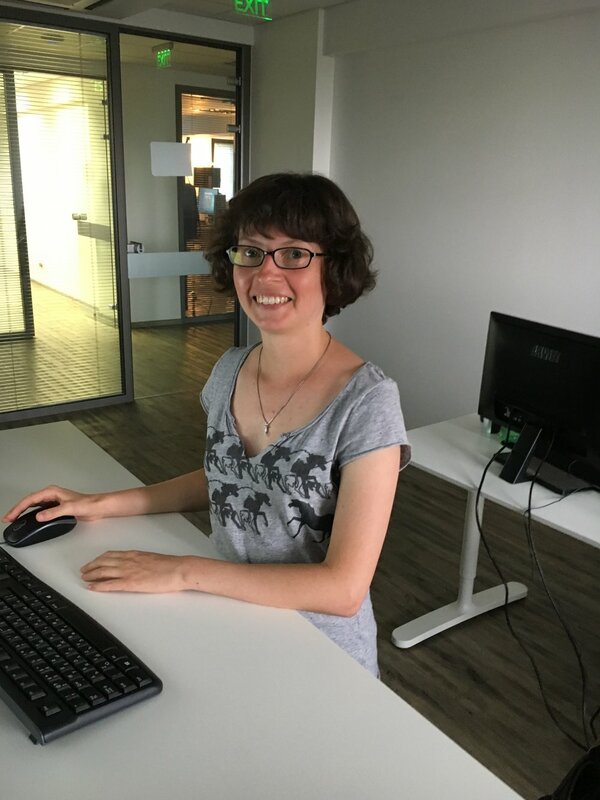 To add to the office confusion, Elena is also working on Phoenix Point soldier idle animations. Vesselin (Vesko) is an experienced designer who worked on dozens of titles during his time at Gameloft. He also developed "Castle Frenzy". Vesko's favourite game is "Little Big Adventure", another great title that I haven't heard mentioned in a long time. It's good to see that someone still appreciates it. He also loves games that create "believable, dramatic situations through their gameplay", and this is where the X-Com franchise shines for him. Working primarily on the tactical layer, Vesko is currently establishing the rules for constructing the game environments. He's also working to make them more organic and richer than you would expect in a typical grid-based game. 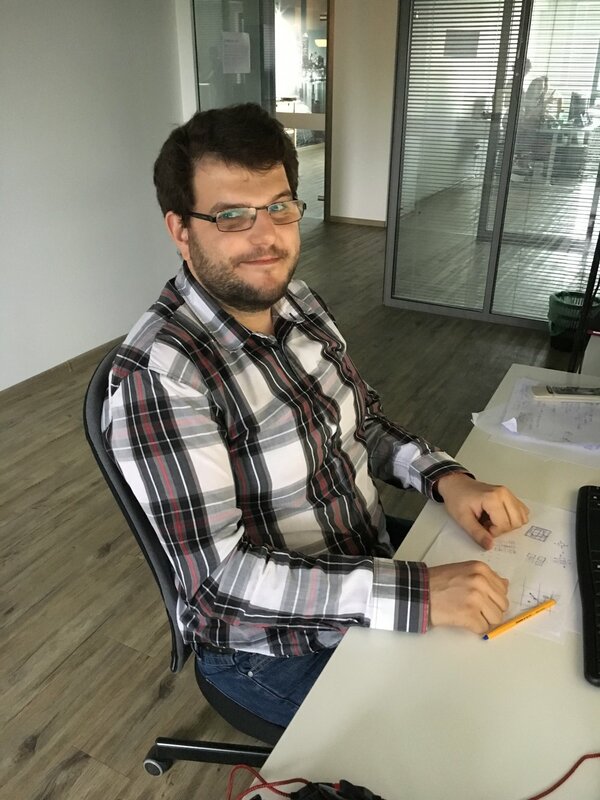 Another new addition to the team is Plamen. An experienced Character Artist, Plamen has worked previously for Crytek Sofia and Crytek Frankfurt, Creative Assembly and also Snapshot Games, as he did some work on Chaos Reborn. 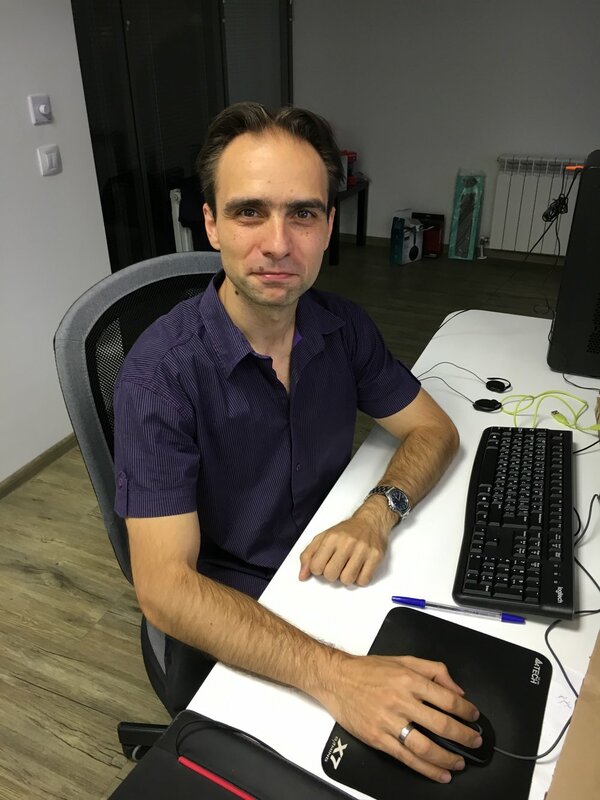 Other titles Plamen has worked on include "Tau" and "Dawn of Time", sadly cancelled, "Arena of Fate", "Robinson: The Journey", "A Total War Saga" and "Total War: Arena". Plamen enjoys playing RPGs, deckbuilding games, fighters, strategies and the occasional shooter. There's a long list of games he likes to play including "Mass Effect", "Elder Scrolls", "Magic the Gathering Online", "Mortal Kombat", "Injustice", "Tekken", "StarCraft" and "Star Wars Battlefront". His list is actually even more substantial than that, but reduced here for easy reading! Plamen is currently creating the game model for the New Jericho Heavy soldier. Over the next couple of months, the teams are going to be working hard to get the ballistics system looking presentable so that we can show it to you. They're also going to continue working on the Geoscape, making it look even better and starting to add the functionality. The environment team are also busy working on new maps and environment types which we will hopefully be able to present to you in a future update.